KEN YUSZKUS/Staff photo. Ron Christensen is refinishing the top of Fr. 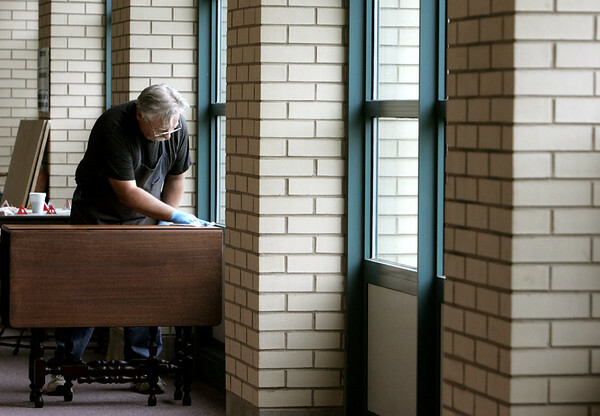 Andrew Demotses' drop leaf table at the Peter A. Torigian Community Life Center in Peabody. 10/02/15.